1. 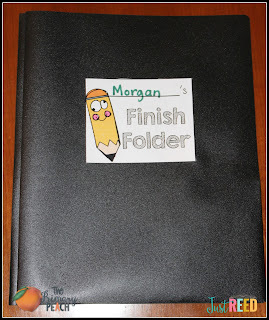 Have Finish Folders in Students' Desks or Seat Sacks. 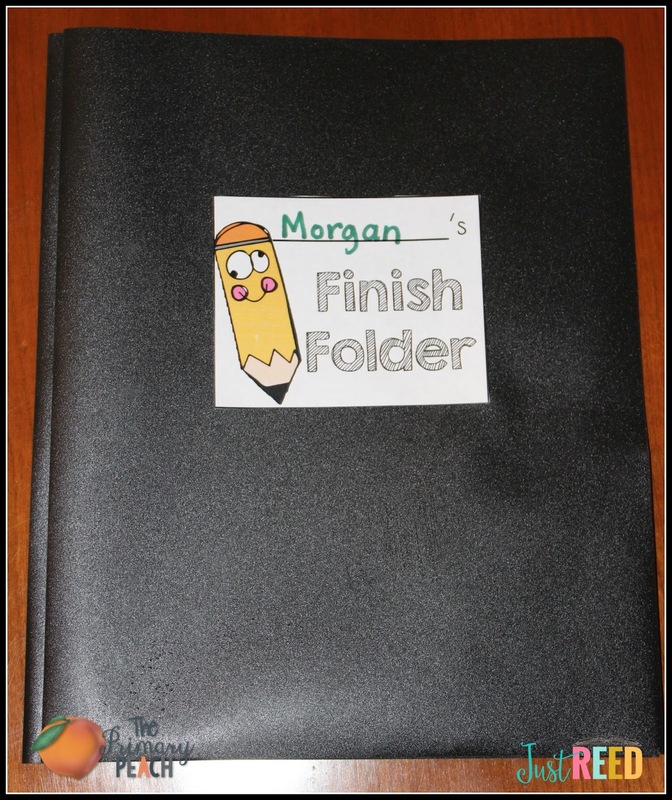 Anytime we need to move on and I have a student who is lagging behind (because they're a coloring perfectionist or because they were too busy chatting with a neighbor...lol) I have them put their unfinished work inside their "Finish Folder." They know that whenever they have free time later in the day, they'll need to take that folder out and finish the work inside it. 2. Have Students Keep a Prep Pack in their Desks or Seat Sacks. April from Gradeschool Giggles recently shared on The Peach how she preps craftivities this way. 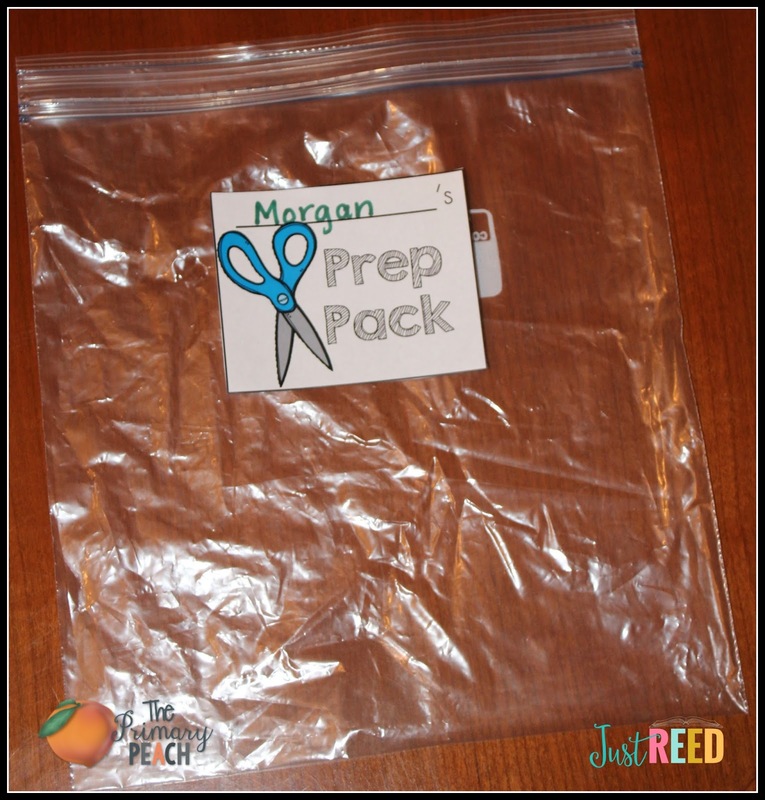 I like for students to hang onto their Prep Pack at all times in case we do ANY worksheet or craft that requires cutting out several pieces. As they cut pieces, they are instructed to put everything in their Prep Pack. We have table groups, and this way no pieces get mixed in with their neighbor's pieces! I also do like April and put all the pieces they'll need for a craft inside these bags! 3. Have Ketchup ("Catch Up") Work Folders for When a Student is Out. Keep 3-4 of these folders prepped. When a student is out, place all papers they miss throughout their absence inside the folder. You can send the folder home for students to complete or have them work on it at school. 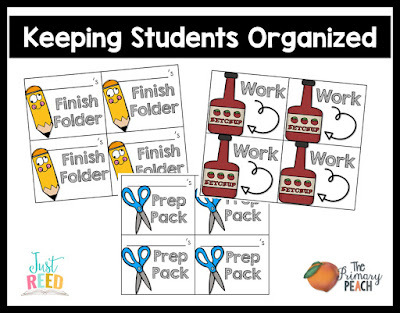 All of their "Ketchup" work is organized and ready to make up! Would these ideas make your life easier? 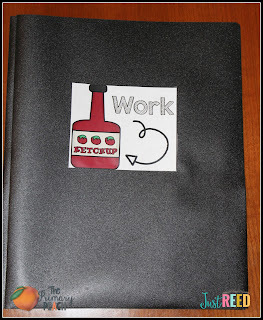 Snag these FREE folder labels here. You can print them on card stock and glue or tape them. Or you can get whole sheet labels, print them, cut labels apart, and peel and stick! CLICK BELOW to get your FREEBIE! Let me know what you thought of these helpful tips! Great idea and cute stickers! Thanks for sharing. Think I will add this to their deal after the new year. I'm happy to read and hope that everyone reads like me. Thanks for the article.